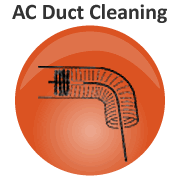 Sunset Air and Home Services, offering a wide variety of AC Services to the residents of Southwest Florida. From A/C Cleaning, and AC Repairs, all the way up to a total AC Replacement & AC Installation, we are a full service air conditioning contractor. We provide our award winning AC Services throughout the entire Southwest Florida area, including; Arcadia, Bonita Springs, Cape Coral, Clewiston, Englewood, Estero, Fort Myers, Fort Myers Beach, Immokalee, LaBelle, Lehigh Acres, Naples, North Fort Myers, North Port, Port Charlotte, Punta Gorda, Sanibel, St. James City, & more! We offer flexible financing options, so you can afford to have your AC system running like new again. With payments as low as $79/Month and 0% financing for 84 months. 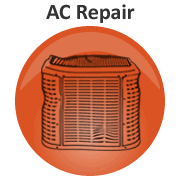 First of all, it is no secret that some AC system repairs can be a major expense. 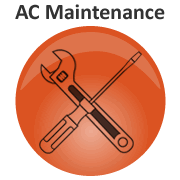 Additionally, AC systems can break down without warning. Hence, a sudden financial burden for the homeowner. Offering quick, friendly Home Improvement Financing to Sunset Air and Home Services customers. We continue to raise the bar for excellence with our award-winning service and dedication to our valued customers. Our long term success is based on trust earned through decades of professional, honest, and caring service to our customers and our communities. We are committed to customer satisfaction, and are proud of our A+ rating we have maintained with the Better Business Bureau since 2002. Because our goal is your total 100% satisfaction, Sunset Air and Home Services continues to be Southwest Florida's top performing air conditioning contractor. In the unlikely event that you are not completely satisfied with our services, our immediate response team is ready, 24/7 to quickly remedy any situation. One call and we are on the way, the same day. We only have real people, located here in America, answering the phones 24 hours a day, 7 days a week. Our fleet of expert air conditioning technicians are notified, in real time, through our state of the art field dispatching system. All technicians will call before they arrive, and will arrive on time. We will not try to sell you anything you do not want, or need. Your technician will explain the nature of the problem with you, and offer only relevant, effective solutions. We do not use subcontractors. 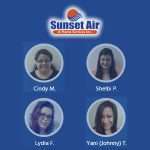 All of our field personal are direct employees of Sunset Air and Home Services, and have passed our rigid screening process. 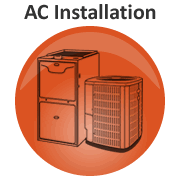 Sunset Air and Home Services is a full service, State Certified and Licensed Air Conditioning contractor. Established in 1999, Sunset Air was built upon a foundation of know-how, a strong work ethic and a commitment to quality. Our award winning, factory trained, professional air conditioning technicians deliver top quality AC Services daily to keep you, and your family comfortable. Sunset Air and Home Services has earned the service industry’s coveted Angie’s List Super Service Award four years in a row! These awards are a reflection of two exemplary years of service provided to our customers. 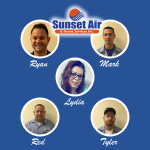 Whether it's a home, or a light commercial building, Sunset Air and Home Services is here for you. Our goal is to provide you with key environmental systems expertise at a reasonable price. Award winning Air Conditioning specialists are on-call 24/7 to save you and your family from the heat and stifling humidity. If you live anywhere in Southwest Florida, trust the air conditioning service professionals at Sunset Air and Home Services. Call Now!